Axisweb asked curators from across the country to browse their directory and pick one work to write about. 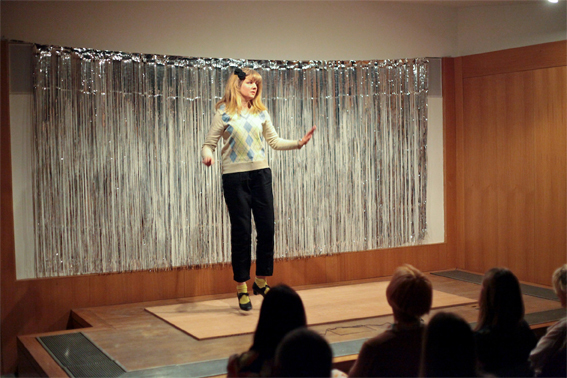 I selected Lucienne Cole’s, ‘Dance to Music’, 2012. Morrissey was not afraid in the 1980s’ to move his body, arms and legs to the music. Upping the confidence of others perceived as misfits, he spawned a generation of young male lone dancers happy to spiral away in their own world on the dance floor….